Packing is a tedious and time consuming labor that requires a lot of skill, focus and momentum. 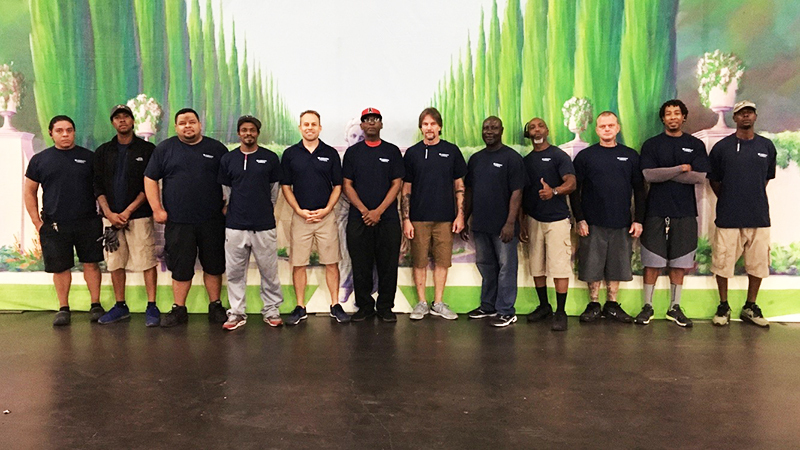 Our professional staff has decades of combined packing experience that you can rely on. We have all of the professional industry-specific materials in stock to properly prepare any item for moving. We are well versed in packing the most delicate high-end China, porcelain, crystal and fragile heirlooms. You can rest assured that we can pack your most precious and sentimental items to protect them from damage. Our staff is trained to create a custom box to accommodate odd shaped or unusually large items. We also offer custom crates for art and chandeliers for the safest transport. We can take measurements of anything that needs to be crated ahead of time and bring a fully assembled custom crate to the site for safe loading. Our team will arrive with the required inventory to complete the packing safely and efficiently. 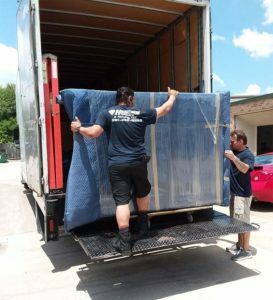 Having Heroes pack your boxes allows you the time to focus on important tasks and responsibilities which helps insure that you are move-ready when the moving team arrives. 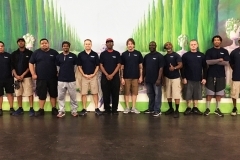 You can hire Heroes to handle some or all of your packing needs to fit your schedule or budget. It’s no secret that unpacking after a move is a laborious and time consuming process. The endless stream of decisions and stress can often be enough to take you over the edge. Tight on time? Don’t worry, we offer full service unpacking to help alleviate the stress of most decisions and debris removal. Unpacking can often stretch into weeks or months after the move because life happens and urgent deadlines and tasks can become more critical and important. Living with all the unfinished business can often create unnecessary stress and anxiety. 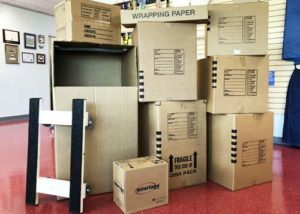 Let us help eliminate the procrastination and burden, we can unpack and put items on display for you to put away… or we can place into cabinets and closets so you have less of a workload to deal with. Let us help you get on with life and get you settled into your new home. Are you are the “Do it Yourselfer”? Not a problem! 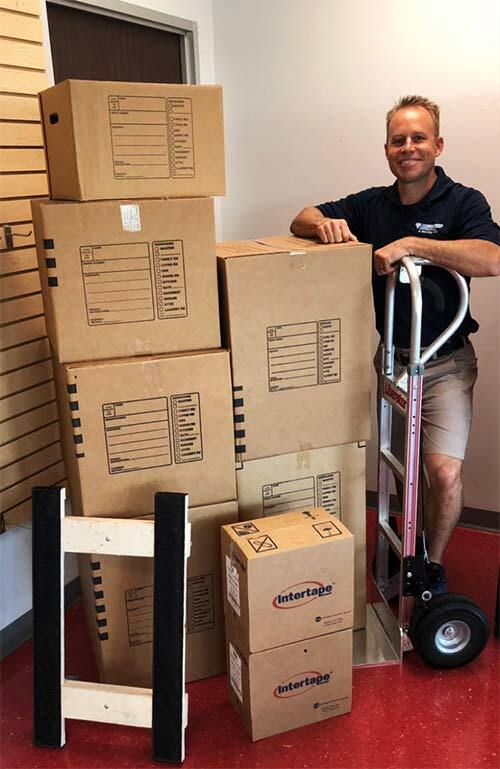 We are happy to provide you with all of the packing materials that we would use to pack your belongings and we will deliver them directly to you. Our Industry-specific boxes are the perfect fit for any type of packing you may need to accomplish. We can even offer a packing demo for those tricky hard to pack items that always seem to show up. Small/Book box: (1.5 cubic feet) Great for books, heavy items, canned goods, paper, office supplies, and tools. Medium box: (3 cubic feet) Perfect for décor, lampshades, clothes, shoes, bedroom items, food and miscellaneous packing. Large box: (4.5 cubic feet) Ideal for linens, blankets, towels, bedding and light weight and bulky items. Dish pack: (5.2 cubic feet) Double corrugated box for fragile items, kitchen and glass and breakables. This box is also perfect for wide and fragile lamps and décor. Mirror and picture boxes – These are excellent for protecting fragile glass and frames from dings, scratches, dents and cracks. They are modular and are designed to be assembled to create a custom box for any size art or mirror. They are also great for small glass or stone tops. Wardrobes boxes: (10 cubic feet) These highly specific boxes are large and sturdy enough to hang clothes in. They are 48’ tall and will accommodate 24” of hanging clothes which hang on a bar in the box. Packing paper – This is the most common type of material to wrap items with to protect from friction and damage. It is highly efficient and economical and offers excellent protection. Bubble wrap – We offer custom size lengths, widths and bubbles for very fragile items and specialty packing. Paper blankets – These unique multi-ply materials are very useful in wrapping large items, vases, lamps and mirrors and pictures before they go into a box. Promptly notify your mover of your ideal moving date. End of week and weekend move dates are very popular, especially during the summer. May through September are historically the peak moving seasons. Determine the services you want for your mover to handle such as packing, crating, moving, unpacking & art installation. Schedule an in-home estimate with your mover and get your moving quote in writing. Set a schedule to handle all personal responsibilities and packing so you can meet your deadlines and be prepared and properly rested for move day. Contact all banks/creditors, subscriptions, service providers such as phone, cable/internet, power, water, schools, doctors, DMV, and friends & family to provide your new address and phone number. Schedule a safe or alternate location for young children and pets to reside during the move. Put aside phone charger, keys, closing documents & checkbook/wallet. Set alarm to be ready and have time for breakfast before the movers arrive. Have your cars moved so the movers have necessary access to walkways and driveways. Confirm times and details with all pertinent parties. Have floorplan printouts for the new house handy and have detailed notes and important labels posted on the furniture to inform the moving team.